Home 2017 September 28 Featured Will Bougainville Hold Its Independence Referendum? Will Bougainville Hold Its Independence Referendum? 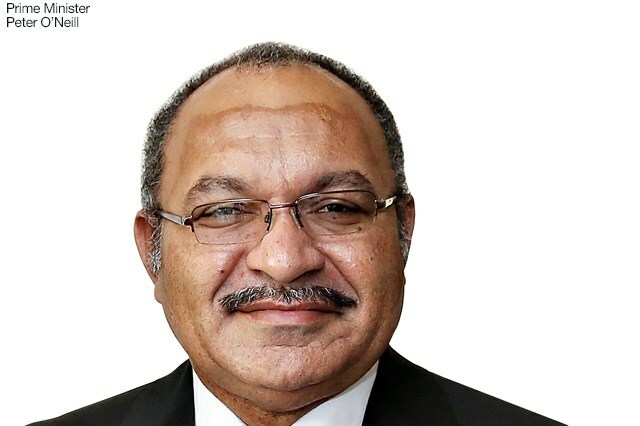 The referendum is scheduled for June 2019, but the PNG premier says the criteria to do so have not been met yet. 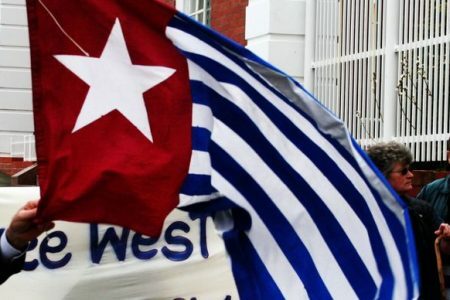 Tensions between Papua New Guinea (PNG) and the Autonomous Bougainville Government (ABG) have again arisen concerning Bougainville’s independence referendum scheduled for June 2019. 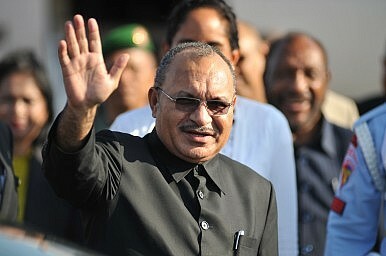 PNG Prime Minister Peter O’Neill has informed the national parliament that the criteria established in the Bougainville Peace Agreement of 2001 — which would enable the region to hold a referendum — have yet to be met. According to O’Neill, the region has yet to establish a solid rule of law, maintain functional government structures, nor has it fully disarmed the island’s militias. However, the ABG has been arguing for some time that the PNG government has failed to live up to its financial obligations to allow the ABG the resources to fully implement the required conditions. That the PNG government earlier this year had the power cut to government buildings due to unpaid bills, and lost its vote at the United National General Assembly because of a failure to make its annual contributions, could indicate that the ABG may be justified in its complaints. The guarantee of referendum over Bougainville’s sovereignty was one of the primary requirements of the 2001 peace agreement that was brokered by New Zealand after a civil war that had been waged for most of the 1990s. Were this agreement to be undermined, due to a failure to meet obligations by either party, then there is the potential for instability on the island to again resurface. Enjoying this article? Click here to subscribe for full access. Just $5 a month.The position of Bougainville within PNG has always been an awkward one. Bougainville Island is geographically and ecologically part of the archipelago that forms the Solomon Islands. The archipelago became contested within the colonial endeavours of both the British and Germans. While most of the Solomon Islands came under British control in 1900, Germany maintained its hold on Bougainville Island. However, during World War I, the island was occupied by Australia, who subsequently administered it within the Territory of New Guinea. The island unilaterally declared independence as the Republic of the North Solomons several days before PNG gained it independence from Australia in 1975. Yet the republic was never recognized by the international community, and was absorbed into the newly sovereign PNG within six months. In 1988 the tensions derived from this uneasy relationship became funneled into a dispute involving the Panguna Copper mine, operated by Rio-Tinto. 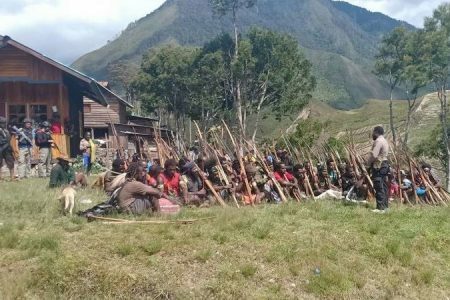 Grievances over the distribution of royalties and the environmental damage the mine was causing led to a revolt by the Bougainville Revolutionary Army (BRA) against the national PNG government, and a decade-long civil war that left up to 20,000 people dead. A truce was called in 1997, with peace talks sponsored by New Zealand beginning in 1998. In 2001 the Bougainville Peace Agreement was signed, which created the Autonomous Bougainville Government and established a roadmap towards a referendum on independence, to be held no later and 2020. Prime Minister O’Neill’s assertion that the ABG is not living up to its obligations within this roadmap has the potential to derail the trajectory towards this independence referendum. Yet if the national government is unable to provide the financial resources for the ABG to honor these commitments, then there is an obvious impasse. 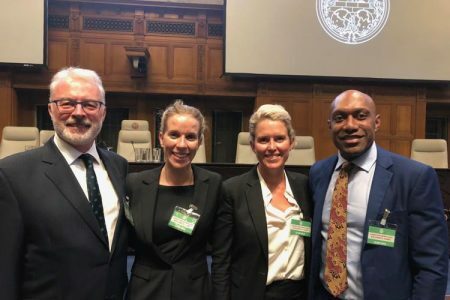 If PNG is unable to provide the ABG with the resources it requires, it may fall to Australia and New Zealand to provide the necessary assistance in order to ensure that tensions do not escalate. However, this may be deemed to subvert the authority of PNG, and would potentially undermine these countries’ neutral positions on the prospect of an independent Bougainville. The situation also poses the question of how the national government is assessing the ABG’s current situation, and whether strict interpretations of the criteria concerning “a proper establishment of rule of law, proper establishment of a government structures” are actually achievable for the region. The dominance of “big man politics” and clan affiliations within Melanesian societies has ensured Western conceptions of governance and fiscal accountability find it difficult to adapt to the local cultural landscape. The national government obviously also struggles with these tensions, and therefore should be wary of setting standards that the convergence of these two phenomenon cannot smoothly accommodate. With the recent end to the Regional Assistance Mission to Solomon Islands (RAMSI) providing a successful transfer of full sovereignty back to the Solomon Islands government, any forces that may provoke a return to instability in the region would be of great concern to the Pacific neighborhood. The PNG government should be very weary of returning the country to the conflict of the 1990s, and seek to find a way to ensure that the Bougainville Peace Agreement continues to be adhered to by both parties. © 2019 Melanesia News. All rights reserved.